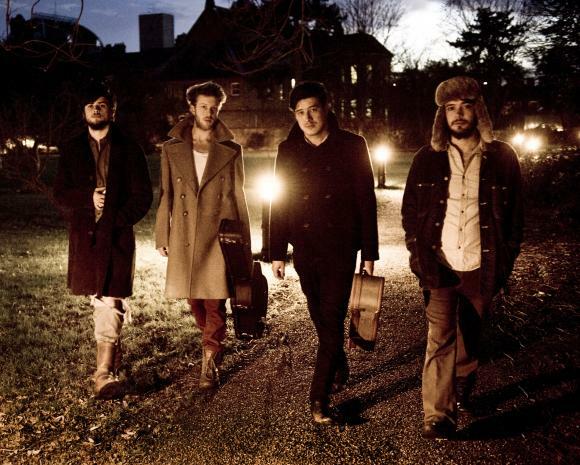 I really dig Mumford & Sons at the moment. I saw them live a few weeks ago, supporting Arcade Fire, and they were magic to watch. So much joy and exuberance passed from the stage to the audience during their set. They seemed truly happy to be making music. As the winter winds litter London with lonely hearts, oh, the warmth in your eyes swept me into your arms. Was it love or fear of the cold that led us through the night? For every kiss your beauty trumped my doubt. And my head told my heart: "Let love grow". But my heart told my head:"This time no". We'll be washed and buried one day my girl and the time we were given will be left for the world. The flesh that lived and loved will be eaten by plague, so let the memories be good for those who stay. And my head told my heart: "Let love grow." But my heart told my head: "This time no". Yes, my heart told my head: "This time no". Oh, the shame that sent me off from the God that I once loved was the same that sent me into your arms. Oh, and pestilence is won when you are lost and I am gone and no hope will overcome. But if your strife strikes at your sleep remember spring swaps snow for leaves. You'll be happy and wholesome again when the city clears and sun ascends. And my head told my heart: "Let love grow". But my heart told my head: "This time no". Happy friday to you, my dear!